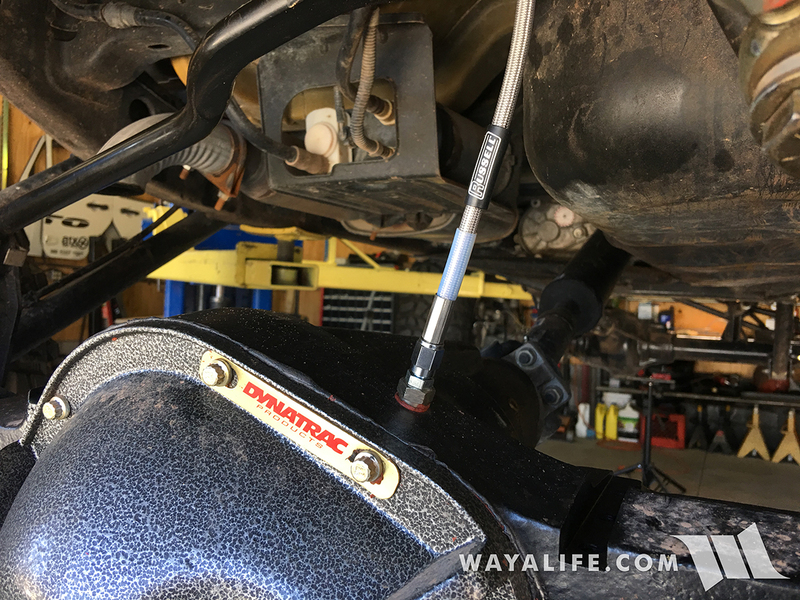 In addition to things like taller coils, longer shocks and adjustable control arms and track bars, a new 1310 or 1350 double cardin U-Joint style front drive shaft is something that you really should have in your list of needed parts if you plan on lifting your Jeep JK Wrangler 3" or more and you have an automatic transmission. While the factory front drive shaft isn’t all that bad, its diameter is very wide and at 3" of lift or more, it will get hung up on the automatic transmission skid plate (limiting your droop) and its spline shaft boot will catch on the lip of your transmission sump pan causing it to tear. 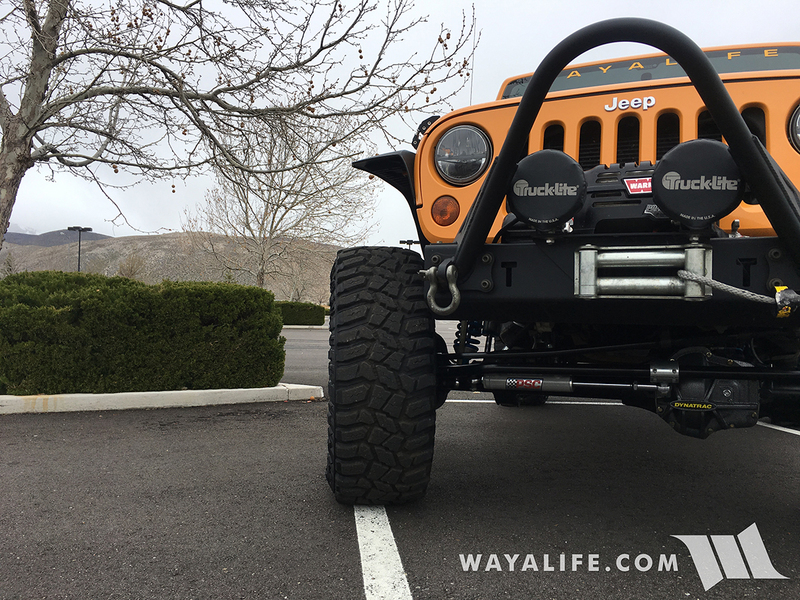 With the Jeep JK Wrangler practically built to fit 35" tires or bigger right out of the box, it really is no wonder that this is exactly what many JK owners have already done with their Jeep or are planning to do in the near future. Unfortunately, there is a minor drawback in going bigger that a few of us are starting to see and that is the front axle C’s will start to bend. As it would seem, the front axle C’s on both the Dana 30 and Dana 44 front axles are somewhat weak and the strain from running bigger tires will be enough to bend the C’s to the point where a measureable and visible amount of camber to one or both front wheels can be seen. And, while some adjustment can be made to correct this with offset ball joints, this adjustment is limited and will not prevent bending of the C’s in the future. So what can one do to prevent this from happening? 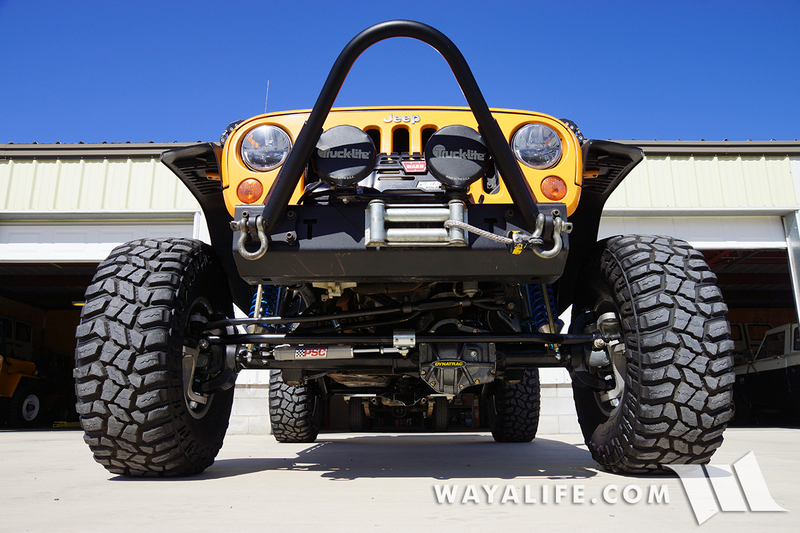 Install a set of Off Road Evolution C2 Front Axle Reinforcement Gussets on your Jeep today!